Here’s one for entertaining this summer, actually it pretty good all year round. 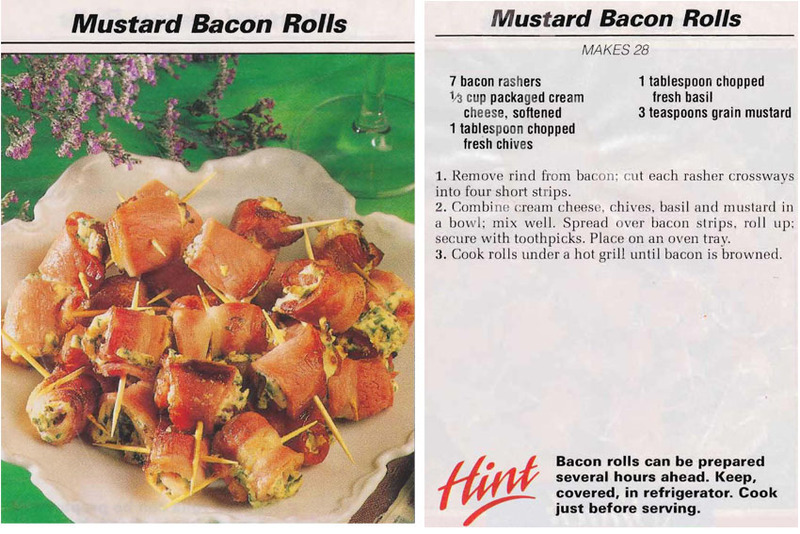 I’ve been making it since the 80s and it still tastes great and feeds a crowd. 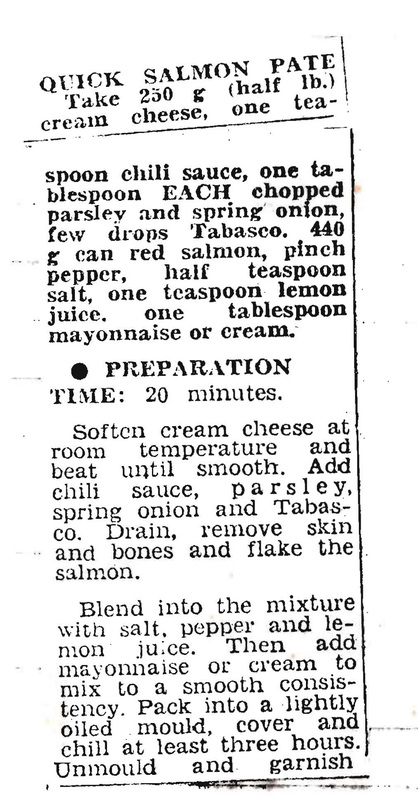 I confess to liking salmon, whether it’s smoked, baked, grill or even tinned, so that’s probably why I really like this salmon pate. You need to use red salmon to get a good flavour, that makes it a little more expensive, but it does make a good amount. As it says it’s quick, easy to make and everyone seems to like it. Also, leftovers are great on toast this next morning!!! 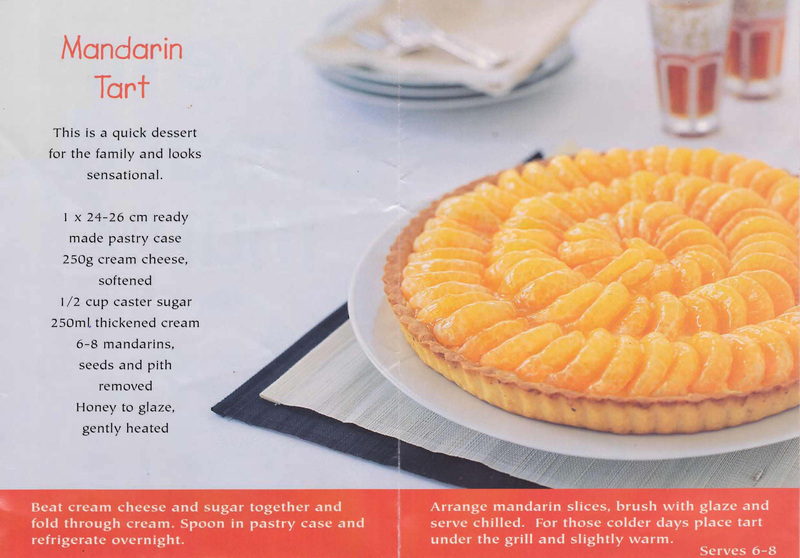 As mandarins are now in season I thought it was worth sharing this recipe. Using a ready made pastry case or creating one with pastry sheets would make this as it says ‘a quick dessert for the family’ also for visitors I reckon. 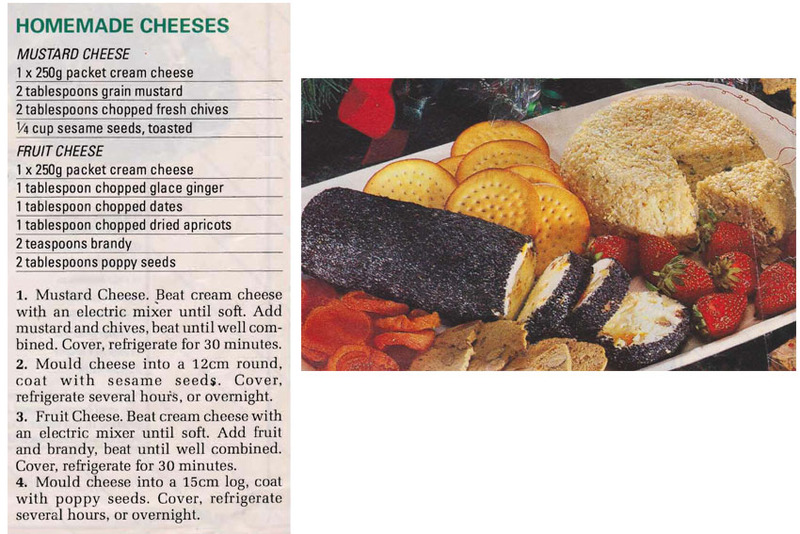 I’ve made lots and lots of sweet cheesecakes over the years, but I’m yet to make a savoury one. This chicken one looks good though, so watch out family I’m going to give it a go next time you all come around. 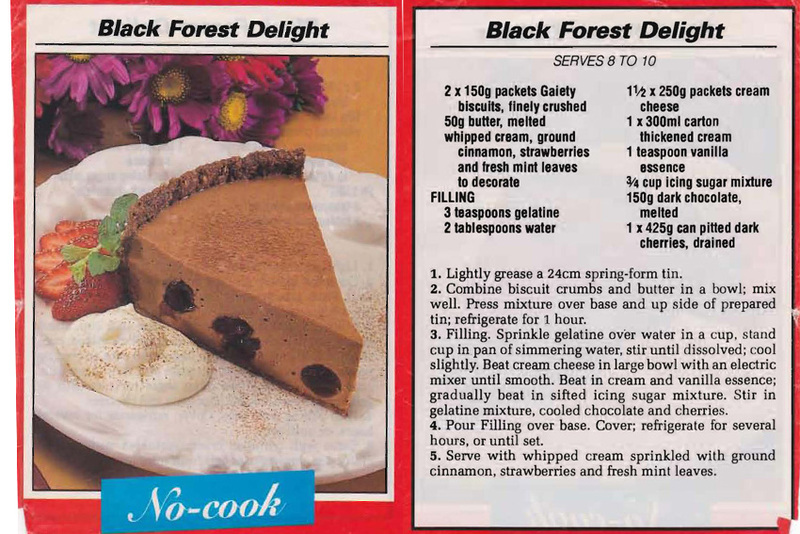 Wish I’d found this recipe before my daughter and I worked out the savories to serve at my husband’s recent 70th birthday party. She ended up making some wonderful treats, but these might have been an easy addition. I’m usually not a fan of cheesecake style desserts that use gelatine as a setting agent, but in this case I think the chocolate and cherries add good strong flavours and should make it taste really good. I also like the idea of using Gaiety biscuits for the base.